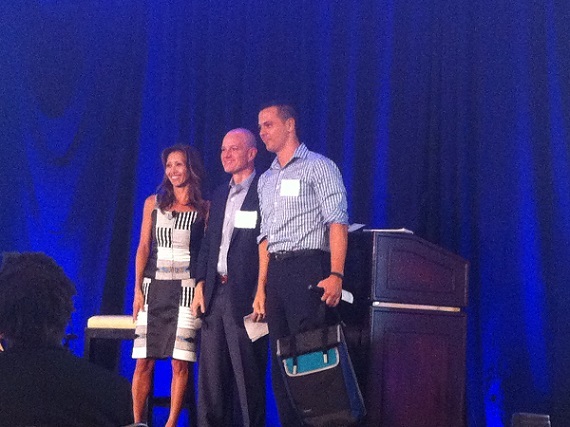 VatorNews | Healthiest and Kangarootime have won Vator Splash LA! Congrats to Kanga Technology who has taken home the People's Choice award! The ballots are in! They have all been counted and recounted, and we have two winners for this year's Vator Splash LA are... Kangarootime and Healthiest! Kangarootime provides childcare professionals with technology that automates payments, child 'check-in' & 'check-out', milestone tracking and streamline communication. Families use Kangarootime to make payments, connect directly to their child's care profile, and manage schedules. It connects childcare professionals to the families they serve. Its revenue engine automates every payment and issues statements to the parent with alerts. Kangaroo time's 'sign-in' and 'sign-out' functionality authenticates the demanding chain of custody standards in each state. Finally, we automate reporting & analytics. Presenting was Scott Wayman, Founder and CEO. Healthiest is your natural medicine cabinet. It is are the definitive, natural, integrative and alternative health resource, empowering consumers with information and connecting them to treatments, remedies, products, and health practices. It has partnered with honest and transparent vendors to curate the highest quality natural products that support organic, fair-trade, sustainable practices in eco-friendly packaging whenever possible. Our medical practitioner panel is involved throughout the process to ensure that our content and resources are current and accurate. Each bundled Solution contains a selection of all-natural remedies to help users build the Healthiest medicine cabinet in their home. Presenting was Crystal Brown, CEO & Founder. We should also say congrats to Kanga Technology for winning the People's Choice Award! Kanga Technology develops enterprise software to solve the challenges of last-mile, same-day, and on-demand delivery of physical goods. Its software powers crowd-sourced local deliveries, and provides Fortune 500 clients with a white-label friendly solution to answer their enterprise B2B/B2C challenges. Its turnkey solution is helping clients ranging from startups to Fortune 500 companies to better serve their customers' growing demands for same-day local delivery. Current pilots include a major Airline (mishandled baggage and lost & found), a Fortune 500 pulp and paper company (replenishment of paper products and dispensers), a global hotelier, and many more. Presenting was Everett Steele, CEO and Founder. 8/omakase is amen's clothing retailer who members receive a gift experience consisting of eight curated packages of custom tailored and on trend styles a year. The company delivers powerful first impressions when entering a boardroom and seductive winks when walking across a bar. The proven benefits of tailored clothing ranges from increased self confidence to higher salaries. 8/omakase makes accessible to the masses, what was formerly available to the upper class. Presenters were Mike Won, Founder and COO and Bert Song, Co-Founder and CEO. 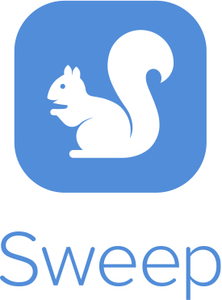 Sweep helps users get ahead of your bills, expenses and savings goals so you never have to budget again. Unlike other finance apps, Sweep offer a complete forward-looking view into a user's cash flow and makes it easy to take control of their money, grow savings and spend confidently. Presenting was Jackson Gates, CEO. Fitly, the creator of SmartPlate, is a two-time Digital Health award winner, University City Science Center-backed and DreamIt Health alumni, with a proven track record for vetted, technological innovation. SmartPlate's patent-pending technology deploys advanced object recognition and load sensors to identify and weigh food within seconds. its automatic tracking system provides the accountability and personalization needed for lifestyle & disease management. Its successful KickStarter campaign generated over $110,000 in revenue from the sale of more than 750 units in 15 countries. Since then, Fitly has been growing over 65% month-over-month in pre-sales. Presenting was Anthony Ortiz, Founder & CEO. Authorea is a platform to write research in collaboration. It brings scholarly writing to the web, making authoring of technical articles as easy as writing a blog post. Authorea is built on a robust underlying version control system (Git) allowing authors to write concurrently, locking portions of articles, tracking who is working on other portions, keeping a record of changes and undoing them at any time. Authors can also easily add citations, table, figures and mathematical notation, in addition to data-driven interactive plots. Authorea's infrastructure allows authors to directly submit papers to a journal and publishers can host their peer review and editorial processes on the same platform where the article was written, greatly shortening the number of steps needed to get a paper published. Presenting was Alberto Pepe, Founder. Staffly provides retailers with screened, insured and trained Staffers by handlubg the time-consuming responsibilities of interviewing, background checks, training, payroll, workers’ comp, and taxes. Staffly Staffers are always ready to show up and work. Retailers pay an hourly fee when they use our service that includes a profit margin to Staffly. It launched in March and have recognized triple digit growth month over month. In the month of August, it had a 400%+ increase in hours worked by our Staffers reaching over 5,400 hours. Presenting was Bjorn Ovick, Co-Founder & CEO. The winning companies get one-hour individual sit-down meetings with at least 10 top-notch VCs, including Arena Ventures, Baroda Ventures, Javelin Venture Partners, Karlin Ventures, Mucker Capital, Upfront Ventures, Wavemaker Partners and many more. Plus, the winners receive in-kind prizes worth around $40k, including a two-hour consultation with Wilson Sonsini Goodrich & Rosati and KPMG, $24k in annual services, courtesy Rackspace, a bottle of Bread & Butter wine; a Misfit Bolt; complimentary services, courtesy Scrubbed and Stratpoint, and more to come. More than 2 in 3 adults in America are overweight or obese. This pandemic is growing at a global scale. Traditional weight loss and nutrition programs such as Weight Watchers, Jenny Craig, and Nutrisystem are not sustainable and only provide short-term fixes to a long-term problem. Digital health applications and wearables, on the other hand, are rapidly taking market share from these incumbents. These industries are growing at a 43% CAGR on average with a projected market size of $37B by 2020. SmartPlate by Fitly, is the only intelligent nutrition platform that sits at the intersection of Digital Health, Artificial Intelligence, and Internet of Things. 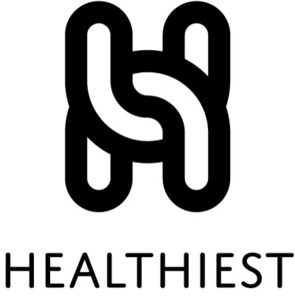 We differentiate through a ‘hardware assisted A.I.’ approach that will yield a unique dataset to create the most accurate, user-friendly, and scalable nutrition tracking app on the market. This synergy between Internet of Things, Deep Learning & Connected Health will enable safe exchange of information between users/patients and care-providers. Sweep helps you get ahead of your bills, expenses and savings goals so you never have to budget again. Unlike other finance apps, Sweep gives you a complete forward-looking view into your cash flow and makes it easy to take control of your money, grow savings and spend confidently. Hundreds of existing and novel Gig-Economy companies exist to offer same-day delivery of products ranging from ice cream to designer wedding gowns. These companies face dual challenges of growing a fleet of drivers and a customer base, while also developing their software. Kanga Technology's white-labeled software platform helps both emerging startups and Enterprises manage their same-day delivery needs and hire needed drivers without a huge capital investment. Our turnkey solution is helping clients ranging from startups to Fortune 500 companies to better serve their customers' growing demands for same-day local delivery. From the United States to Southeast Asia to South Africa, Kanga Technology users are benefitting from our powerful suite of tools. Current pilots include a major Airline (mishandled baggage and lost & found), a Fortune 500 pulp and paper company (replenishment of paper products and dispensers), a global hotelier, and many more. 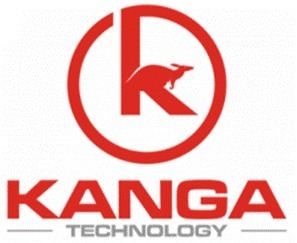 Kanga Technology (kangatechnology.com) is currently directly serving customers via our subsidiary Kanga Delivery Inc (getkanga.com), and through 3rd party startups via our Kanga4X.com brand. Our new GigPool SaaS tool allows gig economy employees to search for the gig jobs that work best for them, and apply automatically in one interface. This helps maximize earnings for contractors by giving them multiple gig economy contracts, and helps gig economy companies by reducing their costs of partner acquisition while simultaneously ensuringthat state governments view their contractors not as employees. Drivers can joing the Kanga Delivery Network via our iOS, Android, and web onboarding process, and can be checked for vehicle history, criminal background, and more depending on specific client requirements. We can also onboard other gig-economy company providers through our dynamic load balancing API. Current drivers range from individual contractors to existing courier and 3PL providers, to other crowd economy partners. Authorea is a platform to write research in collaboration. Described by many as a hybrid between Google Docs and Github for science, Authorea promotes Open Science and enables a new way to read, write and publish data-rich scientific research. How is scientific knowledge disseminated? By the writing and exchange of articles published in scientific journals. What is the problem? Most publishers own the content and sell it to readers at high prices. Most people have no access to scientific articles. And if we do, we realize that they do not include the data, the code, and the raw materials that are at the basis of the published results. Scientific transparency and public trust in science are at stake. 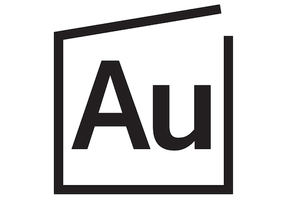 Authorea - is at the forefront of the Open Science movement with a mission to accelerate science, to improve collaboration, quality, and transparency of research. We have 50,000 users and are growing at a rate of 7% per week. The vast majority of the scholarly community (~95%) uses Microsoft Word to write articles. Some other technical scholars use LaTeX, which is a programming language for typesetting. Both technologies (Word and LaTeX) were designed and developed in the 1980s and were intended to be used by a single person working offline. Today, most scholarly articles are highly collaborative (on average 3-4 coauthors across all disciplines) and we do most of our work online- yes, even the science work. There's one more problem, science (collecting, crunching, analyzing, processing data) is a lot fun. Writing it up, not so much. Why? The link between the data (science results) and the text which reports these results is lost upon publication. Have you ever tried accessing the data "behind" an image published in a scientific article? It is nowhere to be found because it is not get published. Scientific articles, as we know them today (e.g. PDF) are obsolete. Authorea brings scholarly writing to the web, making authoring of technical articles as easy as writing a blog post. Authorea is built on a robust underlying version control system (Git) allowing authors to write concurrently, locking portions of articles, tracking who is working on other portions, keeping a record of changes and undoing them at any time. Authors can also easily add citations, table, figures and mathematical notation, in addition to data-driven interactive plots. Authorea's infrastructure allows authors to directly submit papers to a journal and publishers can host their peer review and editorial processes on the same platform where the article was written, greatly shortening the number of steps needed to get a paper published. Our target customers are scholars of all kind: scientists, researchers, graduate students, college students. Besides scholars, who can sign up for a Premium account individually by credit card, there's their host institutions (e.g. universities, research labs, pharma companies). We have sold only 7 institutional licenses so far without doing much marketing or sales effort (our bad). So far, about 1% of our user base is paying users (via personal and institutional subs). 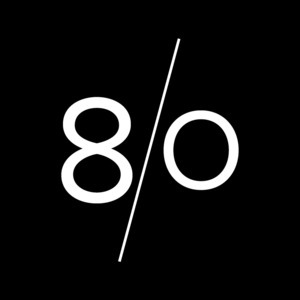 We are in the process of beefing up our sales effort (we just hired a sales/marketing person last week). Growth and sales will go hand in hand since universities we talk to want to know that there's at least X users at their universities (X is normally 100). Sales cycle is slow unfortunately - it takes 3-4 months to sell to a university. Our total addressable market right now is $1B. The market we are ultimately addressing is the academic publishing market. Right now we are solving an obvious problem for authors (collaborative writing) but by doing so we also gather their content. The next step is do something meanigful with their content. The academic publishing industry (STM) is a $25billion market. For the time being, we are focusing solely on the academic market although it is perfectly possible that we will explore other verticals soon which also need a collaborative space for technical documents (e.g. biotech, pharma, government, legal). Men hate to shop. When they do have to shop they are plagued with the burden of choice. Which patterns are in style? Which colors are on trend? Which fit is best for me? Straight leg, boot cut, tapered leg, skinny fit, extra trim fit, slim fit, trim fit, modern fit, regular fit, classic fit, traditional fit? To make things worse, standard sizing rarely offers the ideal fit. Off-the-rack sizing is inconsistent from one brand to the next leading to a frustrating shopping experience. Let's not even go into the parking, crowds, and commute associated with shopping malls. The only current alternative, when it comes to high fashion, is to go the tailored or bespoke route which the average Joe can't afford. 8/Omakase members receive a gift experience consisting of 8 curated packages of custom tailored and on trend styles a year. A $2500 value for $300 in quarterly dues. We delivers powerful first impressions when entering a boardroom and seductive winks when walking across a bar. The proven benefits of tailored clothing ranges from increased self confidence to higher salaries. We make accessible to the masses, what was formerly available to the upper class. Custom tailored styles, no hassle service, to your door. O·ma·ka·se - is a term often used in sushi restaurants where the customer entrusts the chef to serve as he sees best. It's an incredible experience that allows for the customer to explore new tastes, gives the chef creative license to be brilliant, and relieves the burden of choice away from the novice and onto the expert. It's for the man who says - "You know what's on trend, you know my tailored measurements, I trust you, make it easy on me, go ahead and dress me." Kangarootime helps Childcare professionals with a cloud-based mobile application that collects payments, automates 'check-in' and 'check-out' and streamlines communication. There are over 1 Million Daycare Centers, Family Childcare Homes & Early Childhood Education programs in the US and most lack technology infrastructure and business intelligence tools. Our platform leverages automation to manage collections, revenue cycle, center utilization, and regulatory adherence. Childcare professionals struggle with collections, communication, regulatory reporting and attendance management. Our platform addresses each of these. The mobile ecosystem connects parents with the centers & establishes connectivity. Our revenue engine automates every payment from day 1, and issues statements to the parent with alerts. Our 'sign-in' and 'sign-out' functionality authenticates the demanding chain of custody standards in each state. Finally, we automate reporting & analytics.